I like Tong Sui which is the Chinese sweet dessert soup. There are many type of tong sui. Some takes a lot of steps and others are very simple. 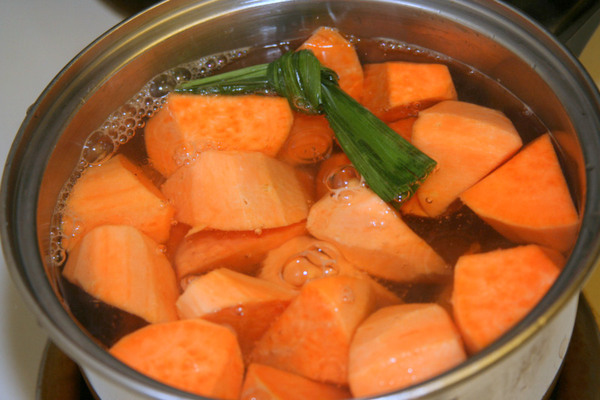 The sweet potato soup is very easy and fast to make — just took me 20 minutes. Back in the days where I grew up in Malaysia, sweet potato are basically eaten by poor people. I recall my parents telling that during the second world war, people survived on these stuff because it was easy to grow. 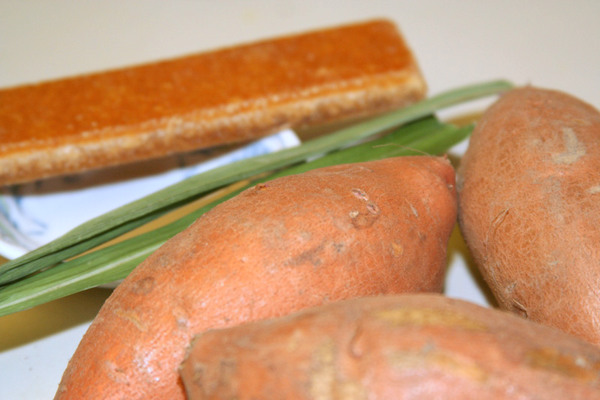 In Canada, sweet potatoes are referred to as yams. 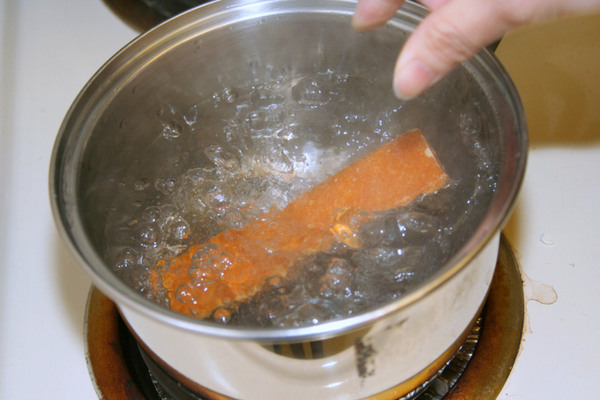 I then just pour everything into the pot and boil it for 15 minutes. That’s it — sweet and simple. Hi…u can find pandan leaves in Vancouver?…Argh…I’m just a few hours away in Seattle and I’ve been searching high and low but sadly not to be found. :( Where do u get it in Vancouver? Hi Zarina, you can find fresh pandan leaves in Vancouver Chinatown. But, I usually buy frozen ones from a Filipino groceries stores in Richmond which is near where I live. Are gingers alternate recipe for this tong shui? I preferred those with gingers though. Thanks for sharing this recipe. Its easy and tasty. By the way, I’m trying to make a dessert with honeydew and sago. Do you have it. Can you share it with me? Thanks a lot! Sweet potatoes and yams are different. 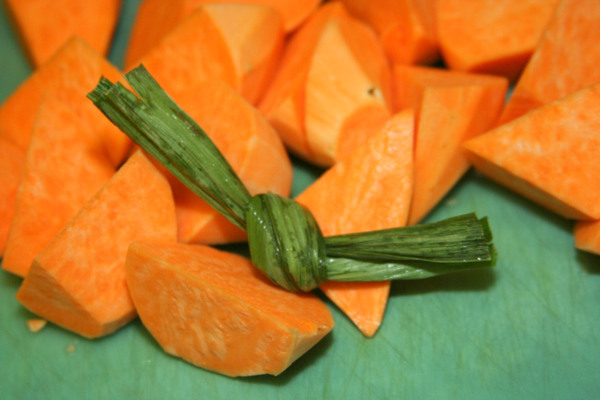 Sweet potatoes have yellow flesh; Yams have red flesh and can grow very large. 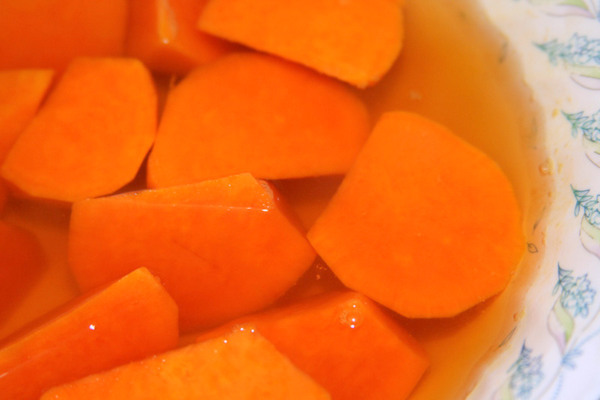 Sweet potatoes are also much more nutritious. I think your soup is made of yams. Click on my URL for the link.